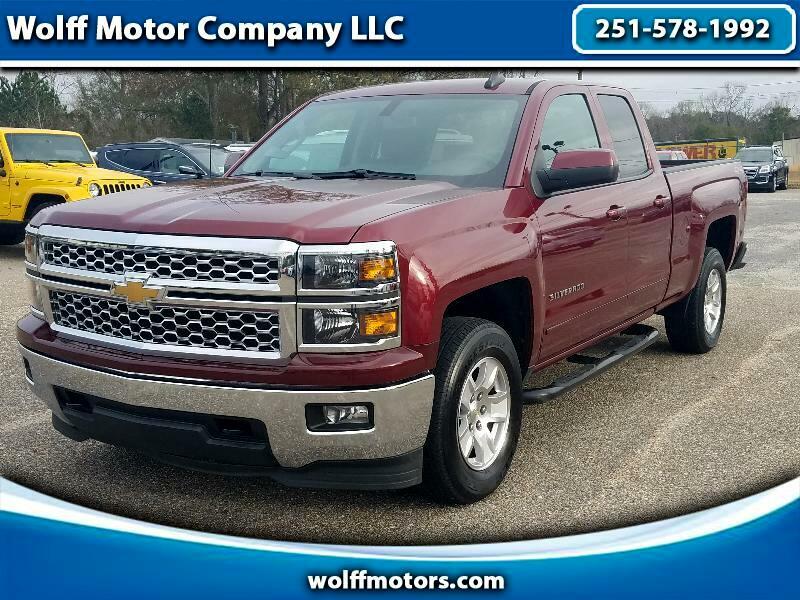 Check out this Super Clean 2015 Chevy Silverado LT Double Cab 4x4. This truck has a Clean Carfax and is equipped with a 4.3L V6 Engine that gets 22MPG on the Highway. With 41k miles, this truck has averaged Roughly 10k miles a year. Featuring a 60/40 center console and a large touchscreen display with Backup Camera along with Powered Driver Seats. Make this truck your next purchase. Give one of our Sales Professionals a call Today at 251-578-1992.